rinse off. Effective on all skin types. 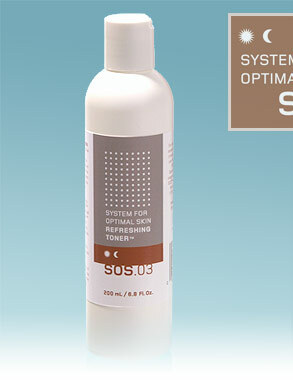 SOS™ Refreshing Toner completes the cleansing process, with moisture-replenishing Aloe Vera Gel and the powerful Glycolic, Lactic and Alpha-Lipoic Acids leaving the skin remarkably hydrated and refreshed. This pH-optimized soothing tonic also sweeps away any residual flakiness, continuing to refine the skin surface and to lay the foundation for all treatment products to come.